Terumo Pharmaceutical Solutions has been crafting drug delivery devices for generations. With almost 100 years of experience, they offer a full portfolio of scientific expertise and industry know-how. Global Communications Manager having attended a Masterclass at the PDA Conference, Vienna, realised that they were not making the most of – or measuring – their presence at conferences, congresses and exhibitions. Their major challenge was aligning aspirations of new internal stakeholders, including buy in from Japanese management. Return on investment and return on objectives were also under scrutiny. 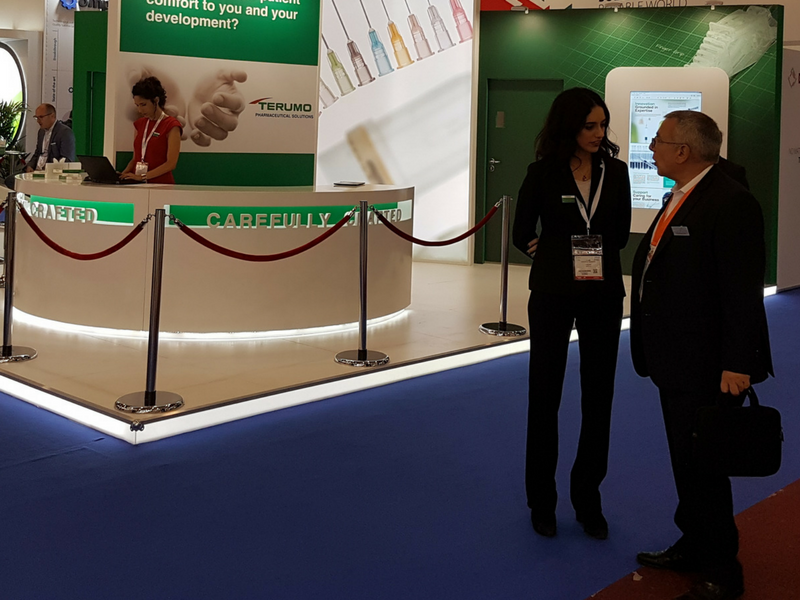 The Optimiser: In advance of CPhI Barcelona, October 2016, Terumo undertook a review of their strategy, a thorough exhibitor planning report and the introduction of pro-active, locally based, multilingual staff. This was again adopted for PDA, their next event later in the month. Workshop: An in-house team workshop was delivered at Terumo headquarters in Belgium to address all aspects of exhibiting at CPhI and PDA. 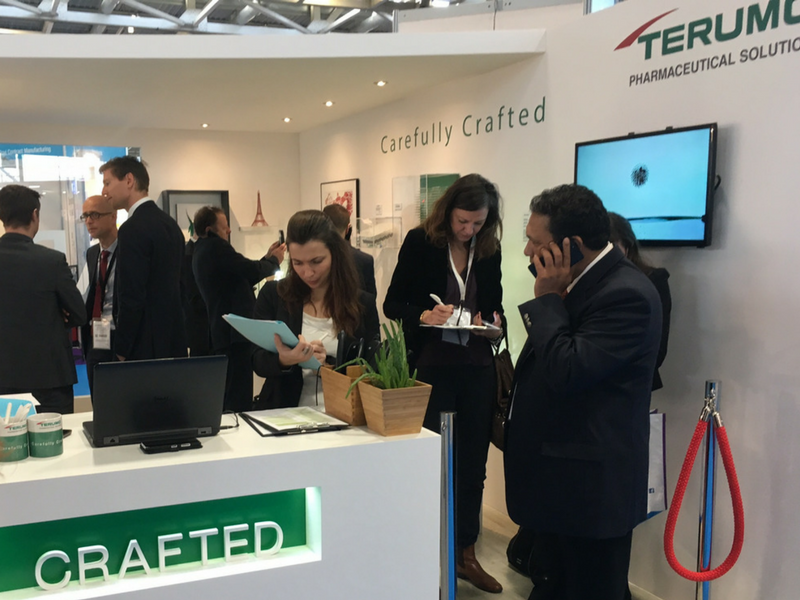 Total Show Consultancy: In the wake of success at CPhI and PDA, Terumo invested in Total Show Consultancy for their attendance at Pharmapack Paris, February 2017. 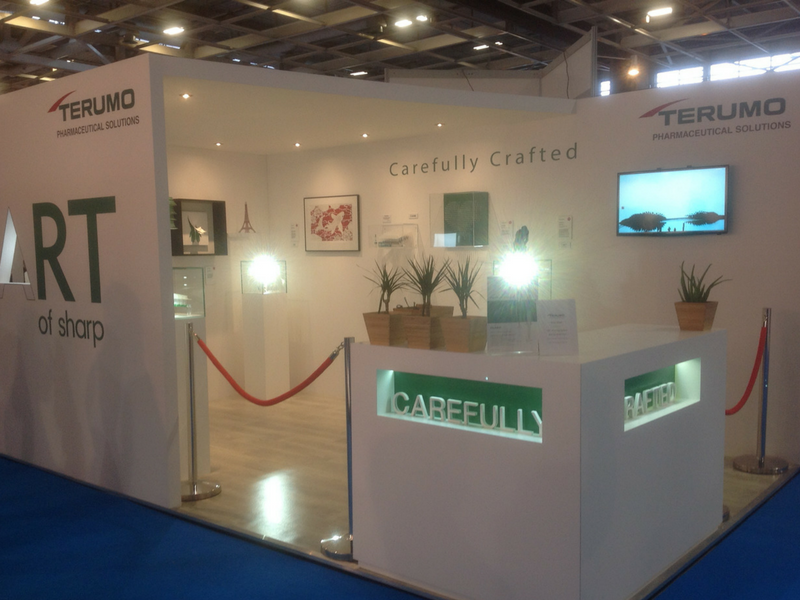 Stand Experience: Complete re-design of the Terumo presence delivered ‘The Art of Sharp’. Outcomes: Prospect feedback and lead follow up system was incorporated to measure all results and integrate with Terumo’s CRM system. We have been analyzing our live marketing and we felt that it was time to look at the substantial investment in exhibitions against the results we had at the end of each show. It was time to make a change, so we went back to what makes us different. It was a very different approach for Terumo because it was a complete change of direction and it took us out of our comfort zone, our biggest challenge was aligning our internal stakeholders; we had to get them on board with our vision and give them the confidence that this was a risk worth taking. This is an ongoing story that we hope to keep improving.